It is a saying that as children we were well versed in. Our parents and our teachers taught us at a young age the concept of following in the foot steps of our peers. 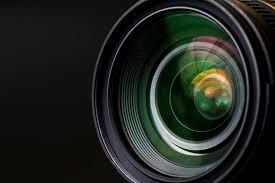 We were encouraged to observe, mimic and maintain all of the behaviors that were in essence, the actions of what was being asked to be done and therefore doing it correctly. To that end, I can remember as if it where yesterday being in my elementary classroom and the energetic and lively Mrs. Moore would begin to gather us up to head off to Art class, or lunch, or recess. She would say in her somewhat scratchy, yet ever so sweet, first grade teacher voice, "students, let's line-up so we can head to lunch. And remember, we are going to "follow the leader" as we go." 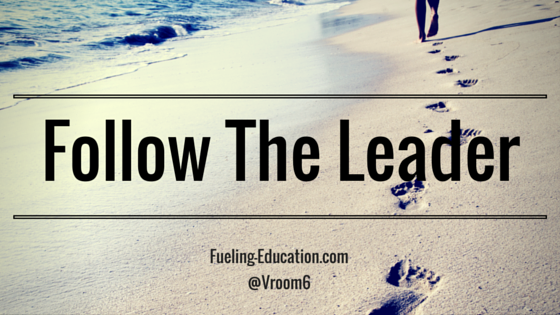 In today's academic world of being a lead learner, the notion of following the leader has come full circle. I realize that it is this very behavior and intentional action that has catapulted me to where I am today. This past week as I have read the tweets and blogs from those attending ISTE in Denver and the Model Schools Conference in Orlando, I am impressed with so many of my global colleagues that have found their niche in both following and also leading others. We have grown to recognize that we are better at our craft in large part due to the friendships (both personal and professional) we have formed. Your Knowledge has Expanded. It is without saying that the depth in which I now lead is greater than ever. Whether 140 characters or being a click away from a blog post or story about best practice, I am smarter today than I was yesterday. I often talk about my four walls of learning and my professional growth. Later this summer I will be attending and presenting at the Building Learning Communities Conference in Boston under he watchful eye of Alan November to share about this very notion of how global collaboration has made me a more effective leader. In this case, following the lead of others has expanded my four walls well beyond my reach. The knowledge I bring to my day-to-day interactions with others is immeasurable. Your Relationships are Stronger. For those that know me, it comes with great ease to strike up a conversation with a stranger or even hop into dialogue while riding from point A to point B. However, through following the lead of others, I have truly come to recognize how to build and foster relationships in a way that amplifies all of the talents and expertise of others. We know that relationships are at the core of what we do. Being connected through social media and reading the work of those like Casas, Zoul and Whitaker, I know now more than ever the effort it takes to ensure relationships are at the core of how I lead. Your Patience has Grown. Something that I have struggled with during various times in my professional life, patience has been a thorn in my side. Following the lead of others and reading and listening to the work that they do, I have come to appreciate the need for patience in my work. Not only has it impacted my work world, it also helps around the house. Your Reflection has Purpose. Part of the process of the evaluation tool that we all use as building leaders to measure the ability and effectiveness of our classroom teachers (and that very same tool that we are measured by our supervisors) is the component of self-reflection. Regardless of your location and the system in which you work, it is guaranteed that one of the essential questions you ask during your post-observation conversation is, "How do you think the lesson went?" With that, following the leader is at its finest when we embrace the fact that it is reflection that helps us grow as educators. For the countless tweets and blogs that I have read, each one has been an significant piece to my own growth. I often write for one simple reason, to reflect on something I have learned or have taught. Your Efforts are Validated. As we follow the leaders in the world of education, there are many ways to find validation in the work that we do. Whether it is #CelebrateMonday or reading the work of #TheCompelledTribe, the great things that are happening in the parallel universes in which we work often times have an uncanny resemblance to the teaching and learning taking place under the watchful eyes of the global audience. Make those connections and be sure to point them out to those that you work with. Our teachers and our community of learners need to celebrate the amazing things that are happening in education. As you continue to explore the path that you are on, remember that there are times in which you will take the lead but also know that there are just as many times that you will need to follow the leader. Just as Mrs. Moore taught our class over 35 years ago, learning by example and observing the modeling of others can drive us toward great things in our passion for education. 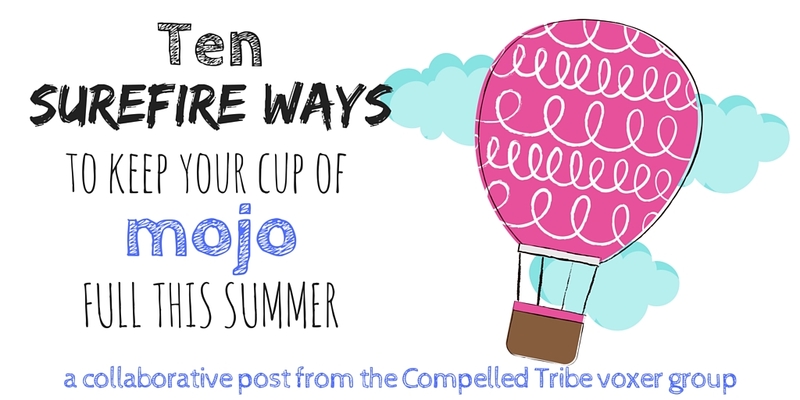 Ten Surefire Ways to Keep Your Cup of Mojo Full This Summer! Mojo is the moment when we do something that's purposeful, powerful, and positive and the rest of the world recognizes it. 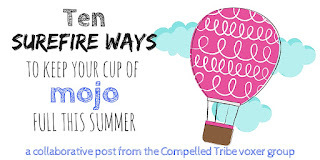 Summertime is the perfect time to fill your cup of mojo! 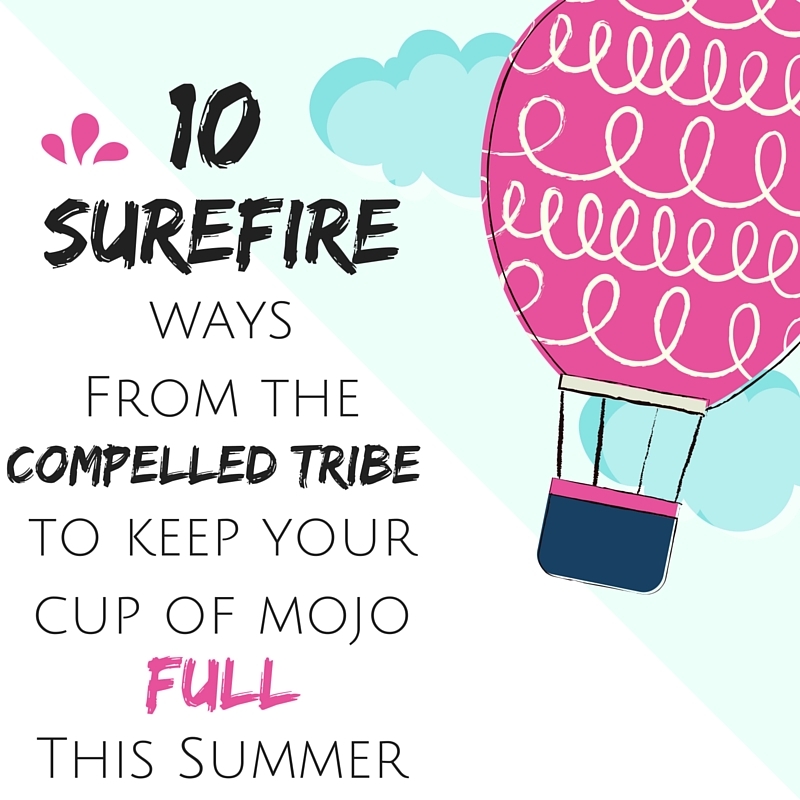 Here are TEN surefire ways from the Compelled Tribe to keep or get back your mojo this summer. I find that when I get to exercise, it keeps me motivated, energized, and confident. Exercise is a time when I can disconnect from the world and just be “inside my head.” It allows time for ideas to percolate without interruption... time that I value and appreciate. It also provides the whitespace I need as an introvert. For me, it encourages creativity and problem-solving while the endorphins are being released! Done consistently, it’s a true mojo-maker! For me, I draw energy from being around positive people. 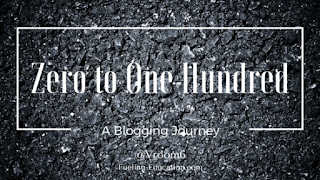 Connecting with educators during summer learning sessions, sharing and learning from others on Twitter about books we’ve read, and of course blogging and reading blogs. I’m definitely an extrovert and being around other educators helps inspire me and always leads to new ideas to implement and helps me keep my mojo! I love Broadway musicals, plays, and other theatrical productions. It’s a way for me to escape and immerse myself in a story. One of my favorite theaters spoofs popular shows. For example, this year two of the shows will be “Indiana Bones Raiders of the Wal-Mart” and “Captain American Fork The Worst Avenger”. (American Fork is the city where I grew up.) The actors and actresses are masters of improvisation which makes for a night of laughter. Another favorite theater performs in the round which is always a delightful experience. There are beautiful theaters in downtown Salt Lake City for Broadway musicals and outdoor shows in many local communities. For a few hours, I can lose myself in another world. But upon further reflection, I always relate the experience to teaching because that’s just what teachers do. We get ideas that benefit our students from everywhere. 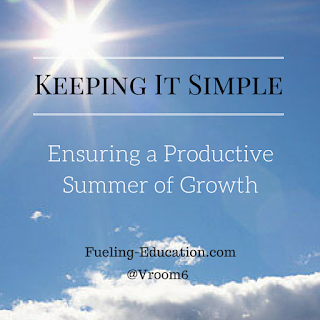 There are lots of ways to find joy and rejuvenate during the summer months. And, I am all about work hard, play hard. With that, one of the greatest joys I get from the summer months, and a way in which I keep my mojo running full steam ahead, is by catching up on some of that much needed reading that took a back seat during the school year. Often times the days we are in session with students and teachers are filled with more scripted reading and writing. So for me, it is the summer months that I get to find that much anticipated new release on best practices in our field. Whether striving to become a better leader, or a better learner, it is the books that I carry with me to the beach, the pool or the park that I enjoy the most. reading initiatives, we shared professional reading that has inspired us and so much more. While we are dreaming big together, we are building stronger relationships, laughing, and challenging each other. When my mojo needs some rejuvenation, (and it sometimes does), I first take a few minutes to reflect. 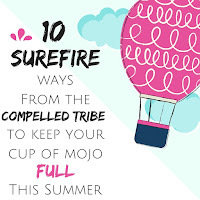 I find that sometimes my initial desire to “rejuvenate my mojo” may have my efforts focussed in the wrong areas or in areas which may not be productive for educators or students in the long run. Reflection leads to focus and clarity. From clarity goals can be set and then the fun begins! Once my goals are established I jump in full force and do so with collaborative efforts. It is very important that the shared vision of success is truly understood by all. The last strategy I feel is essential for rejuvenating mojos is time to step away from work. I admittedly do not do this well, however I find when I can clear my head (by going to the beach, going for a walk, kayaking, swimming, or practicing yoga/meditation, etc.) I return refreshed, focussed, and ready to ramp up my mojo and the mojos of others around me. I was a music major in college and a music educator prior to becoming a principal. Whenever I need to get my mojo back or need to decompress, I find a piano and PLAY. I play in a group at my church so I have the opportunity to play rather often. I understand not everyone has the ability to sit down and play a musical instrument, but when I don’t have a piano to play, I drive in my car or just put my headphones in and JAM! There is nothing like a great playlist of uplifting and energetic music to get your energy back and your cup overflowing! This is my sure-fire way to get back on track. I decided to make a “bucket list” of things I wanted to accomplish within a year, but I’m finding summer is a perfect time to accomplish them. Things such as volunteering and baking cookies for friends have been real pick me ups! Training for a quarter marathon has led into a half, simply because I’m out with great friends chatting while I’m doing it. I check my list all the time, call a friend, and pick an activity to do - it’s a great way to rejuvenate not only myself, but others too! Often times when I am feeling overwhelmed, I find that I need to prioritize. 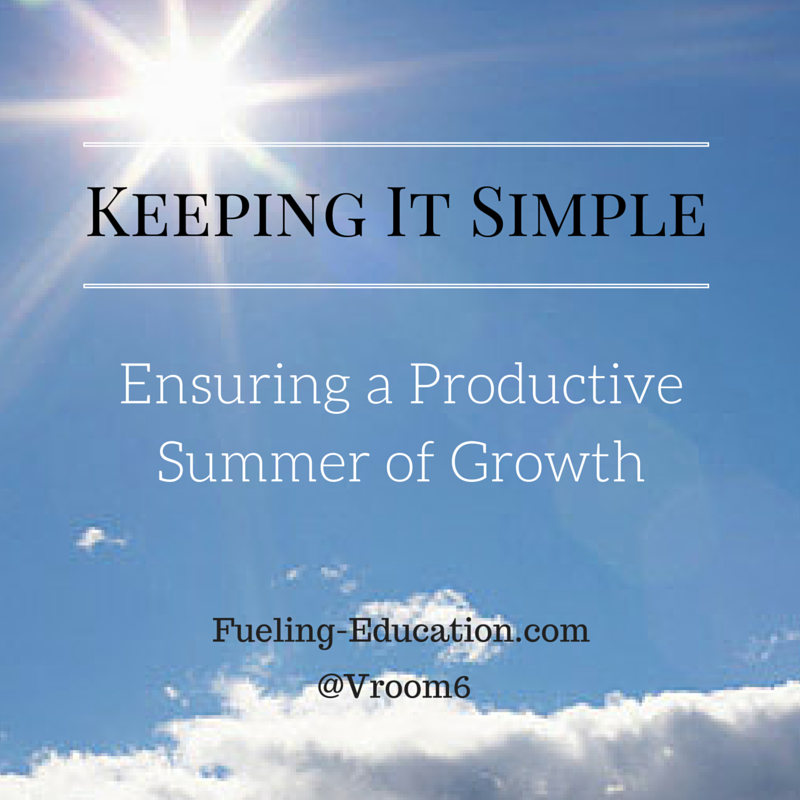 It is important for educators in any role to find time to take care of themselves. 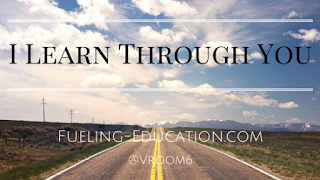 We need to give students our best and that is challenging when we are running on empty. Besides exercising, traveling, and spending time with family or friends, I find that fueling my passion keeps me going. For example, if you are passionate about literacy, continue to take interest and learn more. Surround yourself with people who share your passion. Next month I have the opportunity to share my passion for teaching and learning at the @NLearning Building Communities Conference in Boston. In the spirit of preparing for the conversations I am excited to be engaged in, I thought I would share this post from my early days of blogging. First published on April 14, 2014, my growth and my effectiveness of being a leader has grown exponentially since that time. Thanks to my Professional Learning Network for their constant push towards my own development as a learner and a leader. Most likely if you are reading this you have undoubtedly found The Power of Twitter. 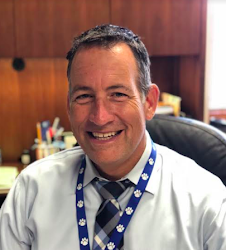 What began a couple years back as a dabbling in social media, has become one of the most intriguing and gratifying forms of professional development in my 20 years in education. 1. Professional Development. 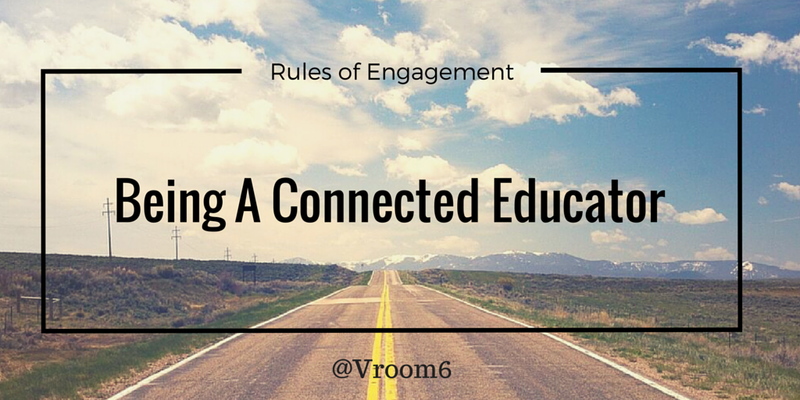 You, like myself, either have or will identify your Professional Learning Network. Your "PLN", as us Twitter savvy techies refer to them, will assist you in a variety of ways each day. Whether affirming a thought or answering a question, the on-the-spot professional development will rival any in-service you have participated in. This PLN, which changes by what my needs are, continues to expand my knowledge of the work that I do. 2. Reflection. A while back I wrote Blogging, Why Bother? and it is still circulating around the twitter-sphere. I am hopeful that it resonated with a couple of novice writers that stumbled across it and maybe even inspired someone else to start posting themselves. Twitter ignited this passion of writing and therefore reflection of my work. 3. Communication. If you have not experienced the power of participating in a twitter chat, then it should be the first item on your twitter "bucket list". My own journey with twitter began like this: 1. Created an account. 2. Followed some people and got followers back. 3. Read what others were saying and tried to throw a thought out there for others to learn from. And then it happened. I found the power of the hashtag! What began as "lurking"- reading a twitter chat without engaging in conversation, has turned into a chat schedule that rivals no other. #Edchat, #ohedchat, #sblchat, #IAedchat and now one inspired by myself and some of my colleagues, #hcsdchat, consume too many evenings. Thanks to people like Jerry Blumengarten I can keep up to date on all the days and times of these powerful conversations. The degree of communication is unbelievable. 4. Connections. I am fortunate to have the connections I do in my daily work and be able to collaborate with some amazing people in my building. My teachers rival all others and my administrative team, including those I report to, are passionate and strive for excellence. With that, twitter has amplified not only those connections but also those down the street and those hundreds of miles away. I have made connections with my use of twitter that have strengthened me and made me better. Professionals like Todd Whitaker and Rick Wormeli have become more than authors of great insight and intellect, they have become a reachable resource. And those like Jennifer Hogan, Dave Burgess and LaVonna Roth and their experiences have become immediately accessible as I infuse, share and grow from their knowledge and strengthen my own leadership. As you think about your use of Twitter consider all of its forms and what power it posses in your work. 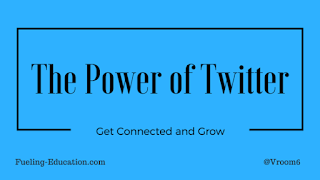 PLN's, blogging, hashtag conversations and making connections is just the beginning of the power of twitter. Add your thoughts below. I am always looking to learn. 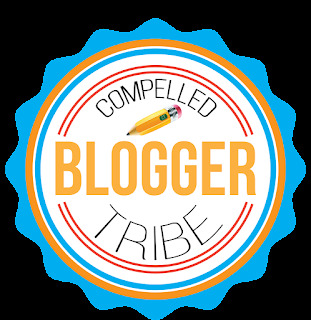 This post is dedicated to Jennifer Hogan and the Compelled Tribe of thinkers and doers. Your writing, and your willingness to allow me on your journey of being a blogger, has made me better. For that, I am forever grateful. I am humbled by your support and your friendship. Little did I realize that writing would take me to all of the places that I have been. From one end of the globe to the other, the landscape of education is constantly changing. Education is evolving and transforming right before our very eyes. Writing has taken me to so many place and most of those places were no more than a few steps away. Three years ago I decided to get out of my comfort zone and take my desire to write from being a reflective process for my lens only and expand my audience of readers and publish my posts and then share them via social media. I become a blogger. Little did I know that in three short years I would go from a reader of one to over 100,000 views on my blog page. What has the past three years produced for me and my professional growth? Most likely many of the same outcomes that blogging has created for you. Writing has become a life lesson, an opportunity and a passion. Sharing of ideas is now the norm. It is a way of how I go about leading and learning. Think about your journey and why you write or why you are considering writing. Hopefully, just possibly, you can connect with some of the points I share below. Perspective. Writing has given me a new perspective on how others not only do their job, but also how they prepare, deliver and collaborate within their role to improve as educators. It has provided a lens on how they inspire others on their journey. It truly defines the "we, not me" mentality. As a writer it is clear that in order to reach your audience, you have to get to know exactly who it is. I appreciate those that read and share my work. Hopefully we are growing together. Motivation. In our profession, motivation should come naturally. We have students and teachers alike that we are privileged to assist in all that they can achieve within their classrooms and with their students. However, there are times that motivation does not always come that easy to us. Therefore, writing has kept that hunger alive and has motivated me to be present for my teachers and my community. The continuous pattern of learning, reflecting and sharing has motivated me to become a teachers best advocate and support a school community in all of the work that they do. Challenge. Of the 22 years in my career I have never been more challenged in my role as a building leader as I am now. The demands of the job are relentless and teachers and students need our direction and our support more than ever. Writing has allowed me to challenge my own learning and has expanded my ability to help others in the work that they do. There is productive discomfort in much of what we do in teaching and learning and sharing that notion of improving ourselves through the process of challenge is rewarding. Validation. I see it in myself and others can see it in me as well. My writing has grown my knowledge in all aspects of being a leader. I am smarter because I blog. I am more well-rounded in my understanding of education because I write, and read, various posts from others. With all of that investment, the return is simple. My teachers and my community are able to show their gratitude through their words and their actions. This cycle has been validating to the work that I do. I am better because I write. 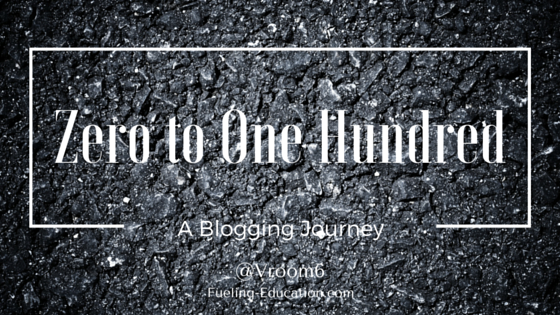 As you take to the keyboard and generate your next post, consider what has taken you from zero to one hundred. Through the writing and sharing process you have avoided being a complacent and passive leader and you have instead ensured being a visionary and a source of empowerment and encouragement. In addition, growing our network of leaders and learners should be a requirement of our profession. I am forever grateful to those that pushed me to this platform of growing my own knowledge and deepening my passion for being an educator. 1. Follow. There is an endless number of educators that will expand your own knowledge when it comes to the profession in which you've chosen. As you take to twitter, blogging, podcasts and other platforms of sharing of information, hold on for the ride as you will be immersed in information. Make sure you are following people that can grow you as a learner. As is known in the twittersphere, growing your PLN (Professional Learning Network) is a game-changer for your growth as an educator. 2. Lead. Get your message, your passion and your desire for teaching AND learning out there to the greater educational community by taking a leadership role in the connected community by what you post. There is no net that can contain the amount of information that you can share via twitter, blogging or other creative forms of social media like podcasts and blab. Regardless of your role, we are all leaders in our profession and your voice needs to be heard. 3. Observe. 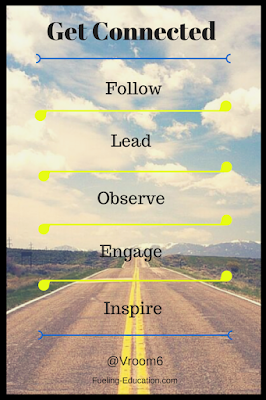 As important as it is to follow and lead, there is also plenty to be learned from simply observing other connected educators. Make sure you check out the landscape of what is out there and take time to digest what you come across your device. Don't feel obligated to respond to everything you see and read all of the time. Just like sharing, observing can be equally as fulfilling in your growth as a connected educator. 4. Engage. Get into conversations with colleagues over a post, topic or blog that has inspired you to grow as a leader. And, equally as powerful is to engage in a conversation with others that you may not be aligned with. If you come across something that sparks your curiosity, then by all means dive into the topic. One of the greatest purposes of sharing out information is to get feedback from others. It is an essential piece of the process. 5. Inspire. A fear for some with social media is that what we share may have little to no value to others. There is a struggle with our own sense of failure when it comes to being connected. Remember that you have an amazing opportunity to impact the work of your connected colleagues near and far. Your life experiences, along with those around you, have the potential to inspire others on their journey of being an even better educator. Getting connected was half the battle. Now that you are, get out there and share your story. 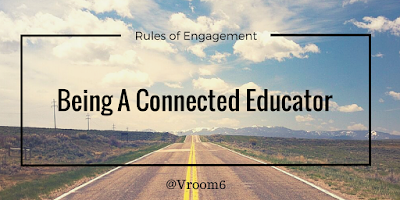 If you have stumbled upon this post, you most likely are already a connected educator in your professional growth. Being connected is powerful. It will grow you in all aspects of your work. Model to others the impact that this has on your teaching and learning. I am amazed by how much I learn through you. The reality is that I don't know much on my own. In fact, if it wasn't for you, where would I be? What would I know? Our profession is not for the faint of heart. I am mesmerized by those that I get to observe in their instruction and watch them passionately reach the minds and souls of their students. You are engaged in your role each moment of every day. You do not take a break. You do not waiver in your conviction to serve. You listen to every child in every moment. You give, relentlessly, tirelessly. I am in awe. You are my teacher. I am your student. Without you I would not be filled with the knowledge and the passion that consumes me. I learn through you. What you bring to the table is undeniably the most powerful lessons that life can provide. My plate feels full yet there is room for more. I crave, more. Just when I thought I was on the brink of running over, more can fit within the cup. I seek more. Your writing is filled with inspiration and determination. You share the journey in which you are on. Your willingness to be transparent has made me better. The experiences you have embarked upon has inspired so many. For that reason alone I, we, are never on our own. You are always there. I, we, are grateful. I am better at what I do because I learn from you. I have a lot to do this summer. I mean, A LOT! And, I am excited to get working on it. The problem is that my brain and my actions are not aligned. Yet. I am going to start by getting my mind right. In order to do that, I have to simplify. No, not make it easy. The work I have to accomplish is anything but that. As I sit at my desk this first morning without students or staff in the building my mind wanders. I think of what needs to get done. It overwhelms me. It consumes me. Therefore, I need to have a conversation with myself and accept that there is a lot of work to be done and be OK with that. 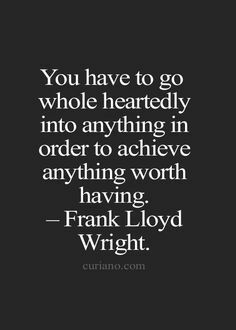 With that, I am ready for the next step because I have mentally accepted there is much to be done. My mind is right. The next move to simplifying the work to be done is to make the list of what needs to be accomplished. For this I am going old-fashioned. I am going to use paper and pen and jot down the work that needs to happen. Like you, I often end up with stacks of list. For the work ahead, I am narrowing it down to one list, maybe two. And, yes, items will be added but strategically. Always be mindful of adding too many items to your list. Sometimes we have to say "no" to new requests to keep our lists from growing too long. Prioritize when it is going to happen and watch the list begin to dwindle away. This can be the easiest or the hardest of all. Some things have to get done sooner than later simply by when events are going to fall on the calendar. For example, I have a conference in July and need to complete the presentation. Even though my mind is saying to get working on that now, I had better finish up the graphics/questions for #OHedchat that I am hosting in two days first. Therefore, look over the list, overlap it with the calendar and mark some dates to get things done. Final step: Find a way to hold yourself accountable to the work that needs to be done. For this, you might need some help. 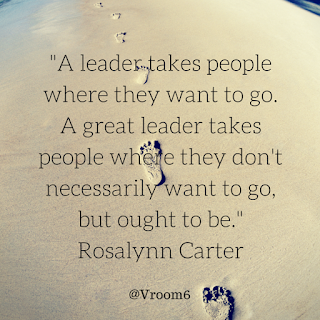 For me, I lean on my #PLN. People like Bobby Dodd, Neil Gupta and Jennifer Hogan will keep me from getting to far ahead of myself (or not moving quickly enough). For me, I/we schedule weekly check-ins for the work we do together. For other items on the list, I lean on colleagues at work or even at home. Let' face it, if we hold others accountable we need to do the same for ourselves. Now that I have my head in the right place, the list of things to be done is created and I have put a stamp on when to get them done and who is going to help me make sure it will get done, it is time to make some headway with the work. Remember, you will get overwhelmed. That too is part of the process. There is so much we want to do and so much we could do and time is always a factor. Tackle your list, give yourself a break as you need one, remain balanced and celebrate as you cross the items off.